Obituary – Emde, Troy Douglas « Perry High School Alumni Association, Inc.
FCA 69-72, FCA Rep. 72, Thespians 69-72, FTA 72, Thespians Pres. 72, Annual Staff 69-71, Spanish Club 69-71, Jr. Play, Football 69-71. 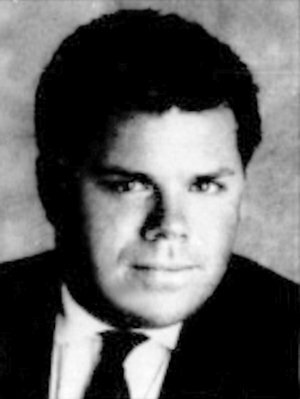 Troy Douglas Emde, 47, of Oklahoma City, died at home on Saturday, August 11, 2001 and was surrounded by his loving family and friends. Troy was an organ donor to The University of Oklahoma Medical Center, HIV/AIDS Research Department, in hopes of finding a cure. Memorials may be given to The University of Oklahoma Foundation, In Memory of Troy Douglas Emde, 100 Timberdell Road, Norman, Oklahoma 73019-0685, Hospice of Oklahoma County. Service to be held at Britton Christian Church, 922 N.W. 91st St., OKC, OK at 1:30 p.m. Tues., August 14, 2001. A celebration of Troy’s life will be held at the Veranda Room, Waterford Hotel, 63rd and Pennsylvania Ave., immediately following the service. He was born Troy Douglas Emde on March 10, 1954 in Stillwater, Oklahoma. Troy grew up in Perry, Oklahoma and graduated from Perry High School in 1972. He was an Eagle Scout at age 14. 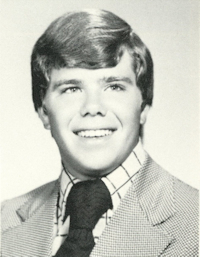 Troy graduated from the University of Oklahoma in 1977. While attending OU, he was a member of the Beta Theta Pi Fraternity and was an OU cheerleader his senior year. He remained a cheerleader for the university his entire life as he held The University of Oklahoma very near his heart. Following graduation, Troy attended the prestigious Thunderbird, The American Graduate School for International Management located in Arizona. Troy received his Master’s degree from Thunderbird in 1978. Troy lived in France for a year and then worked in International Marketing while living in Chicago, Illinois before returning to Oklahoma City in the early 80s. Troy believed Oklahoma City was the greatest place in the world to live and spent the last 20 years living and working there. He owned and operated several businesses including Troy’s Waterworks and Crown Construction. His talent for making the ordinary look extra ordinary kept Troy busy refurbishing and remodeling homes throughout Nichols Hills, Oklahoma City, and Edmond. Troy was also active in the Lyric Theater and the Miss Oklahoma Pageant, giving of his time to work with the contestants in various aspects and served as a judge in many pageants. Troy was a Pageant Director of The Miss O.U. Pageant for five years. Under his direction, Miss O.U., never failed to win a preliminary award at the Miss Oklahoma Pageant. Troy lived life at full speed and touched all those he came in contact with. He will be missed dearly by his family and his many friends. Always Remembered By: parents, Jean and Etsell Emde of Perry, Oklahoma; maternal grandmother, Ione Hesser of Stillwater, Oklahoma; a brother, Otto Emde and his wife Janet; a step nephew, Miles Kennett, a step niece Michelle Price and a grand nephew, Gage Price, all of Tulsa; sister, Jennifer Vasek and her husband Rick of Bedford, Texas; a host of aunts, uncles, cousins and many, many friends; and the joy of his life his three nephews, Julian Preston Vasek of Norman, OK, Maison Dalton and Hagen Emerson Vasek of Bedford, Texas.